The Audi-exclusive tuning specialists at PPI Automotive Design GmbH have announced the plans to create 10 units of the Audi R8 RAZOR GTR-10. 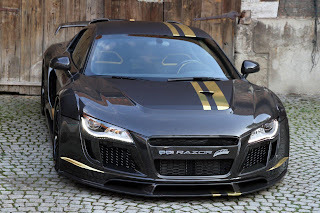 This car carries a V10 engine, with only the front hood, front bumper, and rear diffuser being the same aftermarket parts featured on the previous Audi R8 RAZOR GTR. Although the front fenders, front spoiler, side skirts, rear funder, rear spoiler, rear engine lid, and bumper might look similar in this project, they are all modified slightly. Under the hood, the PPI tuners refined the V10 powerplant with a roof mounted ram air-intake system, vented liftgate glass, a high performance exhaust system, and a reprogrammed ECU for the ignition map. It results in a serious power increase to 601 bhp at 7,400 rpm, and a max torque of 565 Nm at 6,400 rpm. 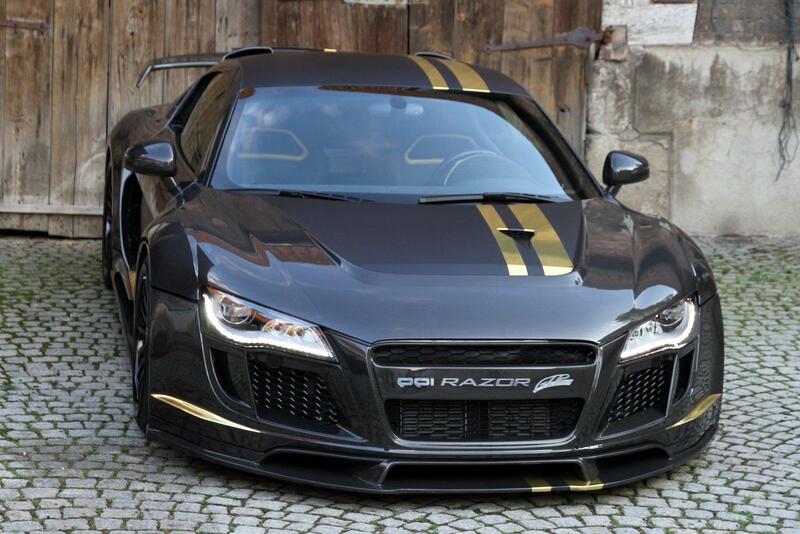 For a comparison, the stock Audi R8 V10 produces 518 brake horsepower (bhp) from the factory.